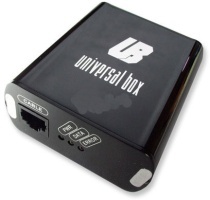 UB-BOX SL2 BB5 Unlock Activation added on UnlockBase, equivalent of 250 UniversalBox Credits. This will give you unlimited offline SL_2 unlock for RAP3G phones. Also, if you have phones with damaged simlock area (destroyed with wrong PM or with other tools) u can also repair this problem. How to activate on your UniversalBox ? 5- After activation just restart your software.